Fill the progress bar to add a Champion, who will bring the Ask directly to Company Management. This Ask was created by an individual shareowner, like you. alan: This speaks to the board and their inept leadership. There is a great service Verizon can do, as well as brand enhancement, rather then destroying the Verizon brand. If Verizon’s actions directly impacted firefighters, they could be deemed far worse than even PGE, as this was under their control. In August, we learned that Verizon throttled the wireless broadband services of fire fighters in the middle of a state emergency and spent four weeks debating with the local fire department while trying to upsell them a more expensive plan. Earlier this month, the Santa Clara Board of County Supervisors held a hearing to review what happened during the state’s worst fire in history. The hearing revealed that, Verizon’s statements to the contrary, nothing about this public safety issue has been resolved. The Electronic Fronteir Foundation (EFF) believes Verizon’s conduct would have subjected them to penalties under the 2015 Open Internet Order, because the actions by Verizon’s sales team appeared to be unjust and unreasonable under Title II of the Communications Act. Verizon have fully admitted that they were at fault and wrong to have engaged in the conduct and have offered to end some of the business practices that led to the problem for the west coast states and Hawaii. During the hearing, Verizon made it very clear that they regretted what happened and that it should not have happened. To their credit, they have made a series of proposals to eliminate throttling of a handful of public safety entities and are appearing to end the practices that led to the Santa Clara fire incident. Verizon's ability to utilize more restrictive network management policies has only been made possible when the FCC recently passed the “Restoring Internet Freedom Order,” which decreased regulation. To be clear, Verizon's shareholder value will be maximized by avoiding the ire of state regulators and the public. Verizon should develop a system to prevent future issues of throttling public services during emergencies. This is important not only to avoid regulation, but to protect itself directly. How many extra transmission towers were destroyed as a result of firefighters' inability to communicate efficiently? Though it may seem counterintuitive, Verizon will make more money for shareholders if it provides stronger services to the firefighters, even if it's at a lower cost. Fires destroy infrastructure and lives. The reduction in fires will pay for itself! The Santa Clara County Supervisor, Simitian, gave Verizon until December 1st to come up with a solution, or face further debates and legislation in Sacramento in 2019. After the November fires in California, Verizon reacted by pledging to offer free calling and data to people in zip codes affected by the fires. This is a smart move to create public good will, and a good first step by Verizon management to remedy the damage from August. As concerned shareholders, we ask Verizon management to turn this reaction into a proactive company policy. During emergencies, Verizon should ensure critical services to its customers. That's the best way to keep them. Further, Verizon should change its sales approach for critical public services. It is not okay to nickel and dime heroes during emergencies and keep them from doing their job. Nor is it good business to aggravate governments. 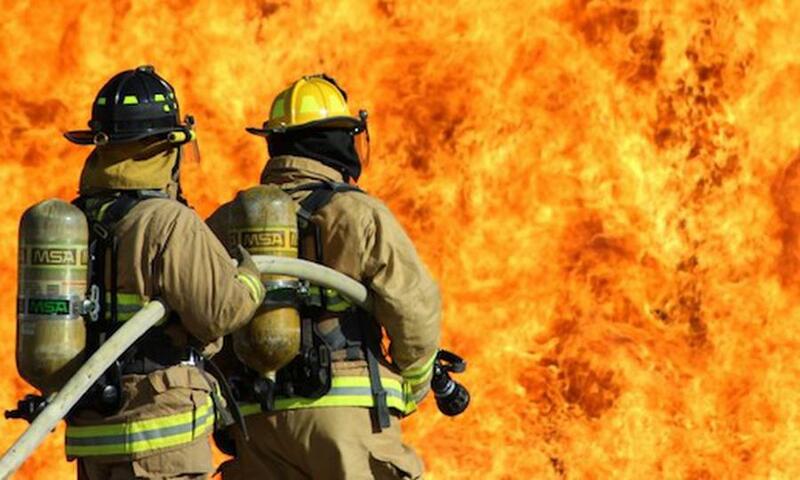 In recognition of the values of public safety and public ire, Verizon should redesign its sales to critical public services, and make sure those services can be designated to receive automatic support from network congestion engineers during emergencies.